How to: Put all the cake ingredients in the processor and whiz until well combined. Pour into a 20cm grease proof paper lined tin and bake at 170°c for 50 mins or until a skewer poked into the middle comes out clean. Leave the cake to cool on a wire rack and prepare the chocolate topping by heating the cream until near boiling, then pour the cream over the chocolate and butter. Leave for 30 seconds then mix the cream, butter and chocolate together using a fork until the chocolate and butter have completely melted. Drizzle the chocolate topping over the cake – there will be too much topping but it is nice to serve this in a bowl beside the cake. This looks simply fantastic. 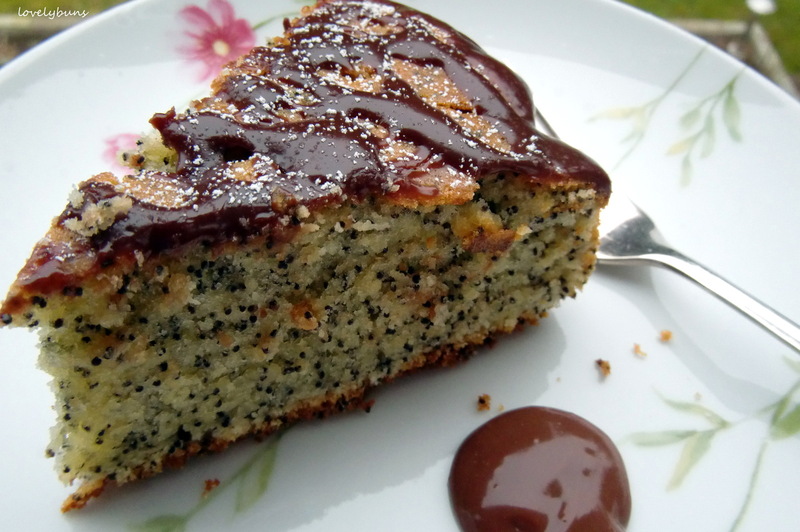 I love citrus-poppy seed cake, and I love the association of citrus and chocolate. The combination of all of that together looks really good! I love your lemony cake with the chocolate sauce…a nice combination. I love the texture that poppy seeds add to a dish. Looks delicious. Candy, this looks divine. Can’t wait to try it. Hey, thanks, I hope you get round to making it, it’s another easy fast cake! Thanks, the chocolate topping was very good! 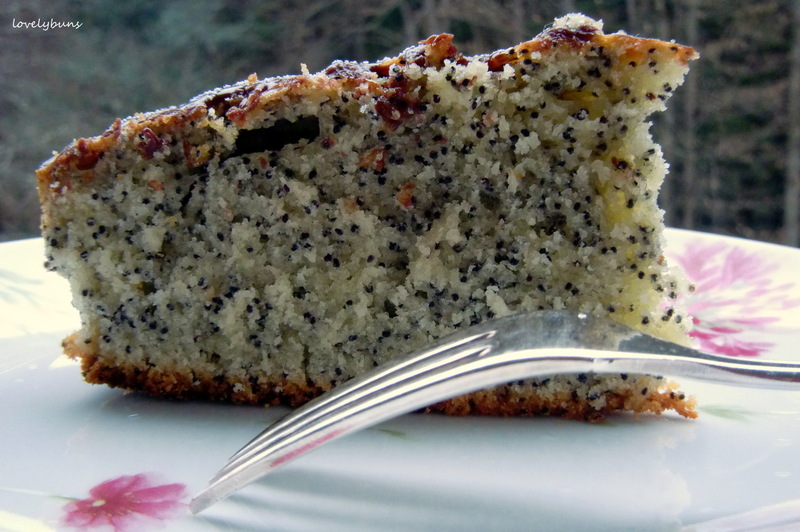 I also think that your poppy seed cake looks divine & really smashing too! Maybe, I fyou added another 100 gr of poppy seeds, they would be savoured, I guess!! Candy, this looks absolutely amazing! 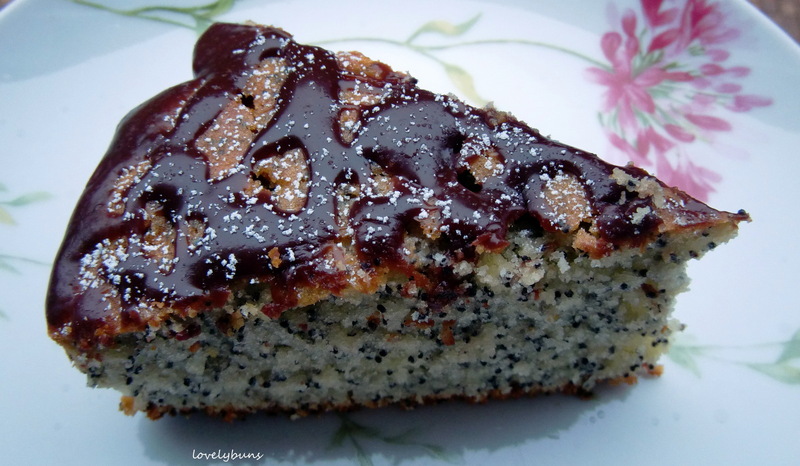 So beautiful and so delicious I bet….love the poppy seeds. Gorgeous! Thanks Brandi, it was a good one! Poppy seed cake is amazeballs. Another one for me to try! So beautiful– great photo. And I love the idea of citrus and chocolate together… thanks. Bonjour, je m’appelle Nafissa, 16 ans et passionnée de cuisine 🙂 je vous propose de venir sur mon blog gourmand: Les délices de Nafissa. Il est possible de s’inscrire à la newsletter en entrant votre e-mail sur la colonne de droite. Si vous souhaitez mettre le lien de mon blog dans vos propres liens ”amis”, prévenez moi et je ferais de même.